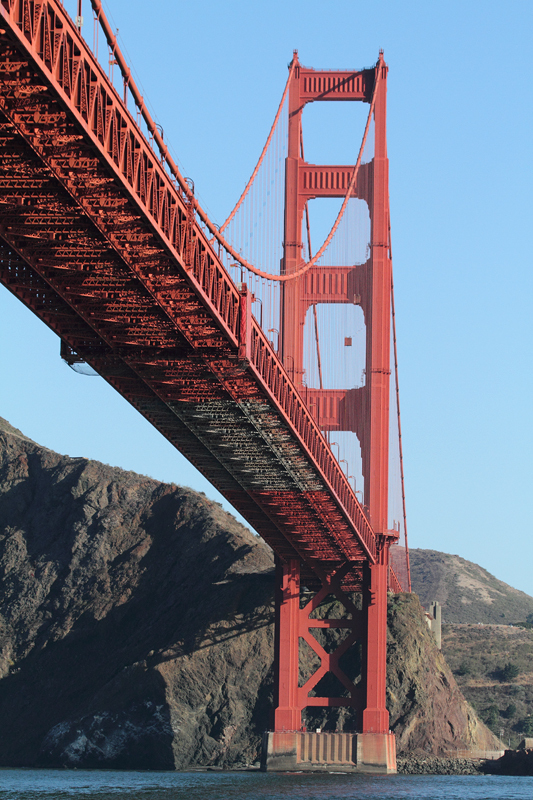 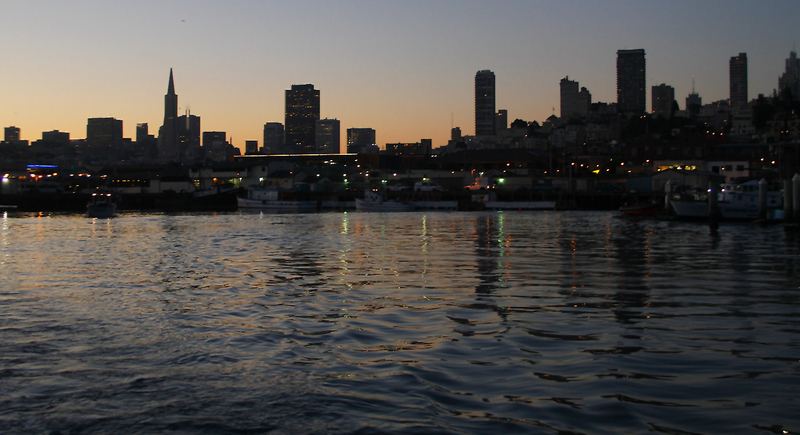 San Francisco, California. 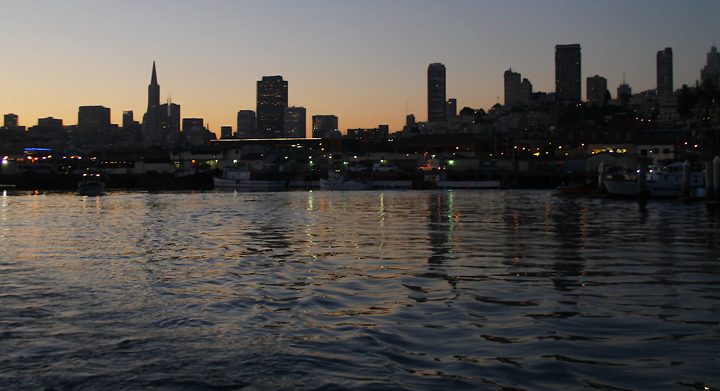 Last updated: 9/28/2010. 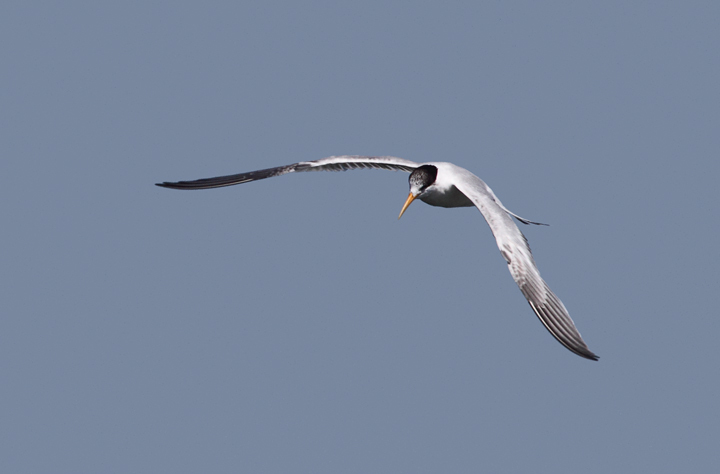 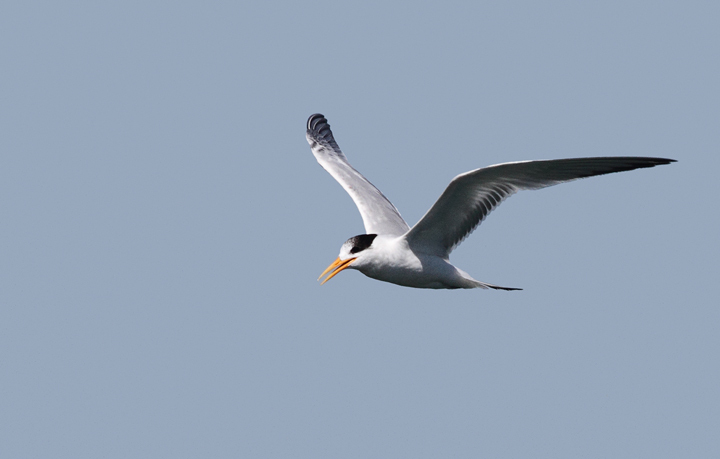 Above and below: The highlight of a fishing (and, of course, birding) trip on San Francisco Bay was an unexpected number of jaegers and their harassment of the abundant Elegant Terns. 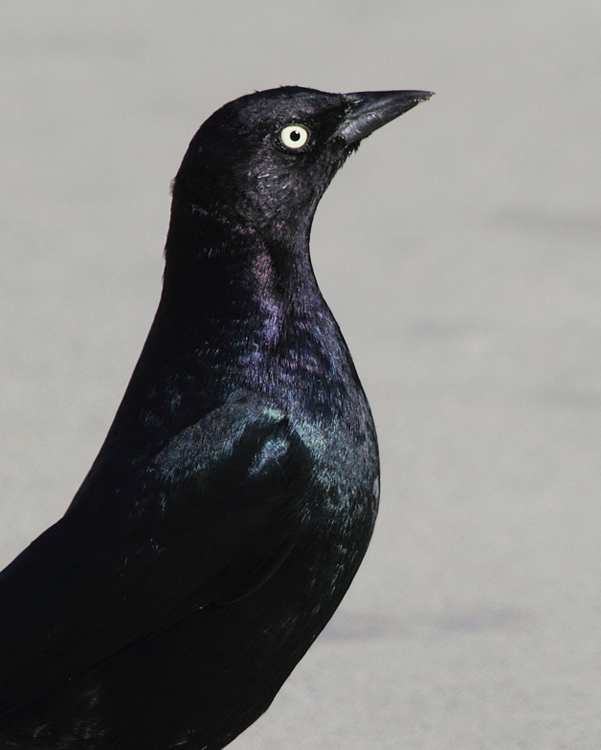 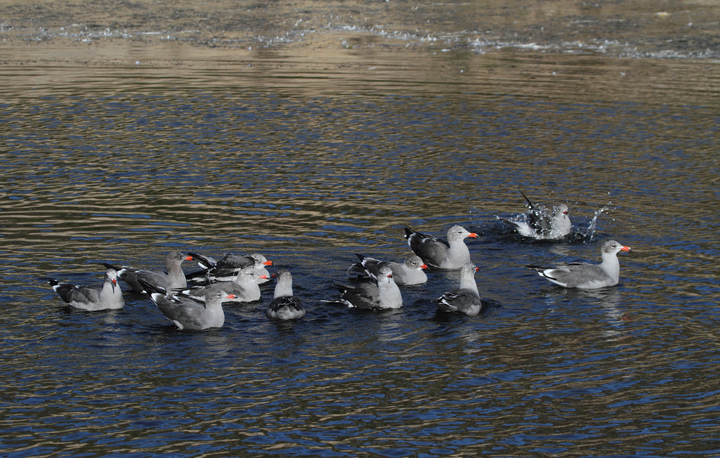 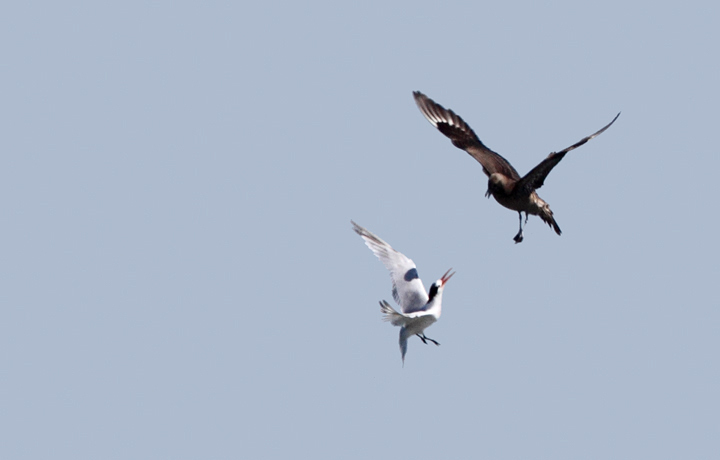 For anyone new to jaegers, this group of birds specializes in kleptoparasitism, stealing other seabirds' meals. 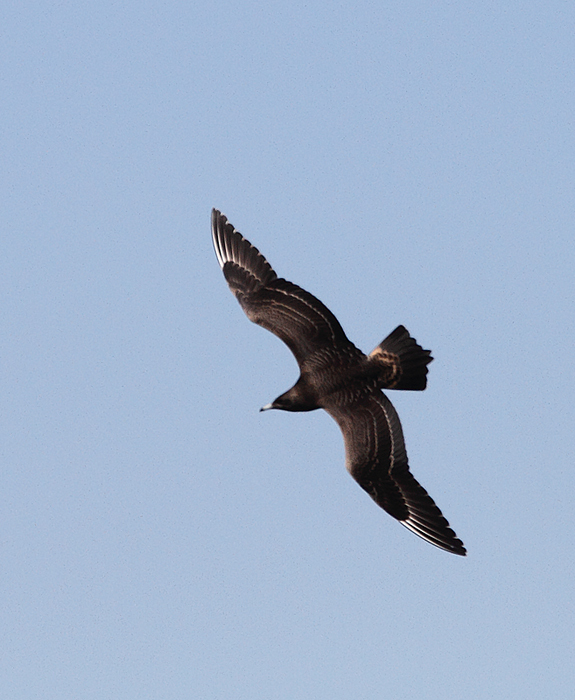 I often tell people that jaegers are where gull meets hawk. 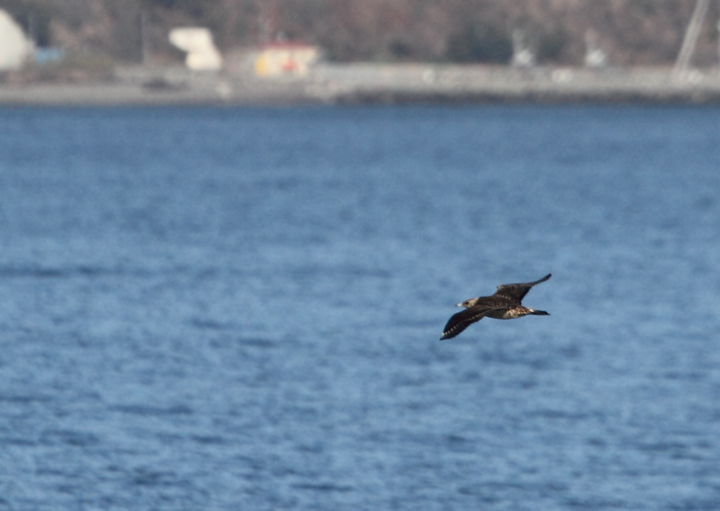 Skuas would be where gull meets eagle. 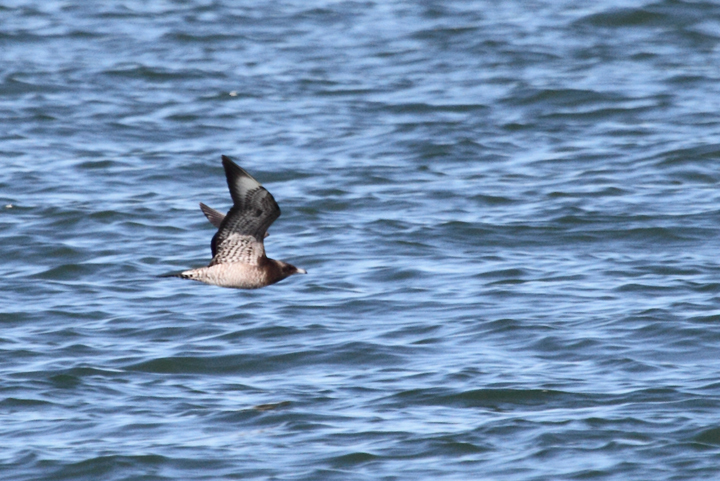 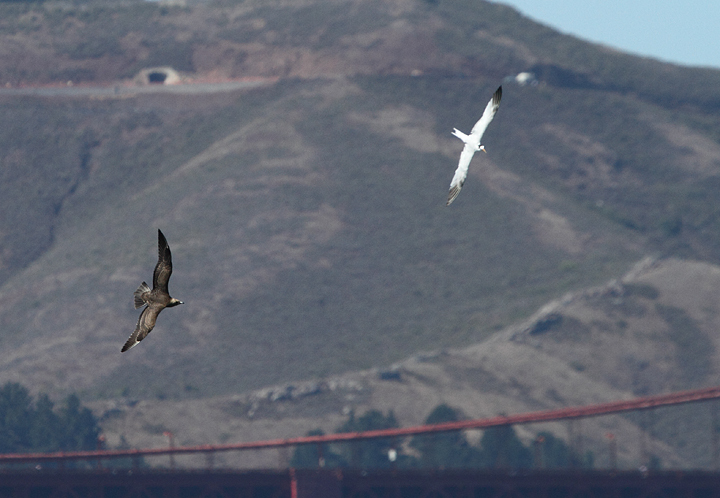 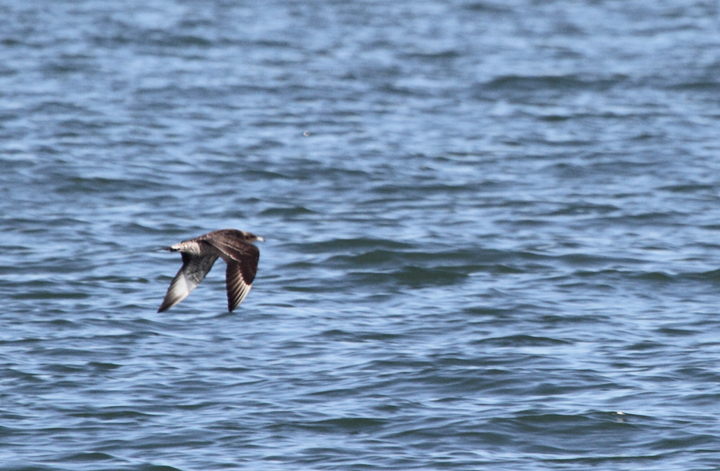 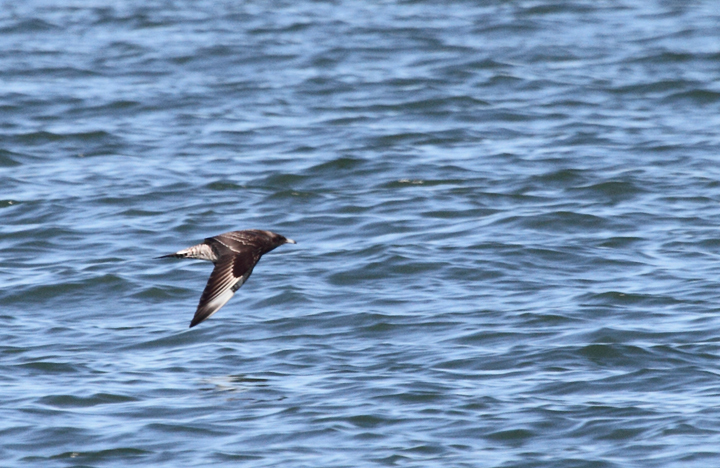 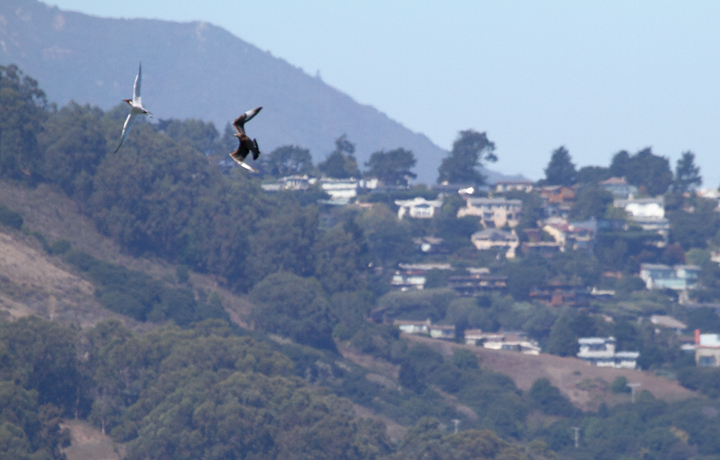 Above and below: Juvenile Parasitic Jaegers over San Francisco Bay, California (9/24/2010). 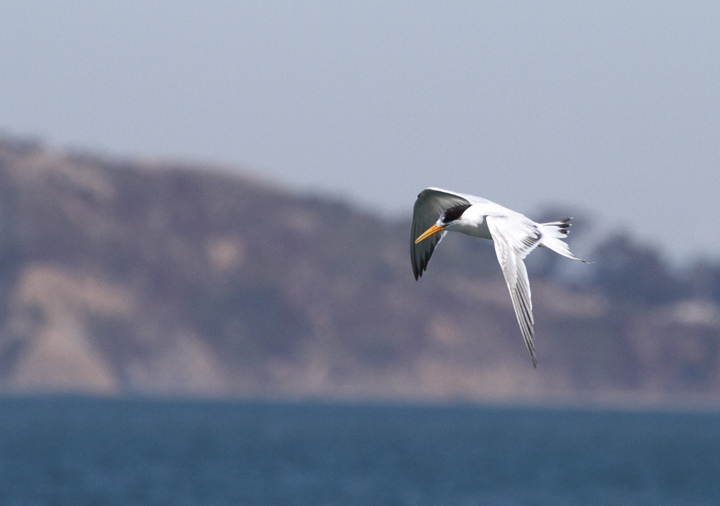 Below: Elegant Terns were abundant on San Francisco Bay and were the preferred target of jaegers (9/24/2010). 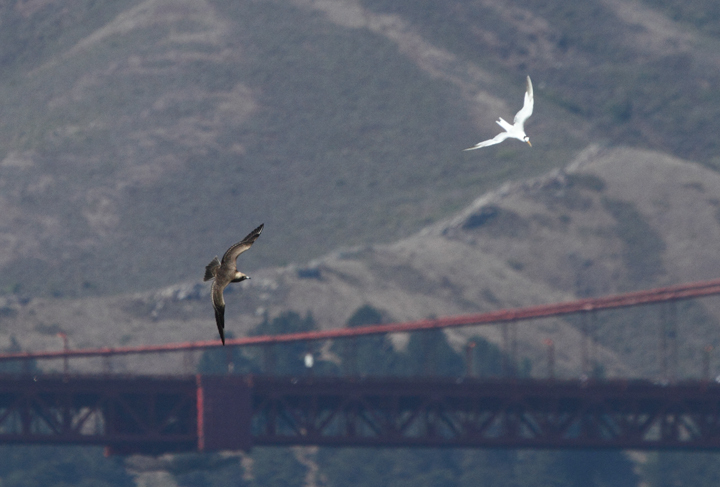 Below: More juvenile Parasitic Jaegers shaking down Elegant Terns for their lunch money. 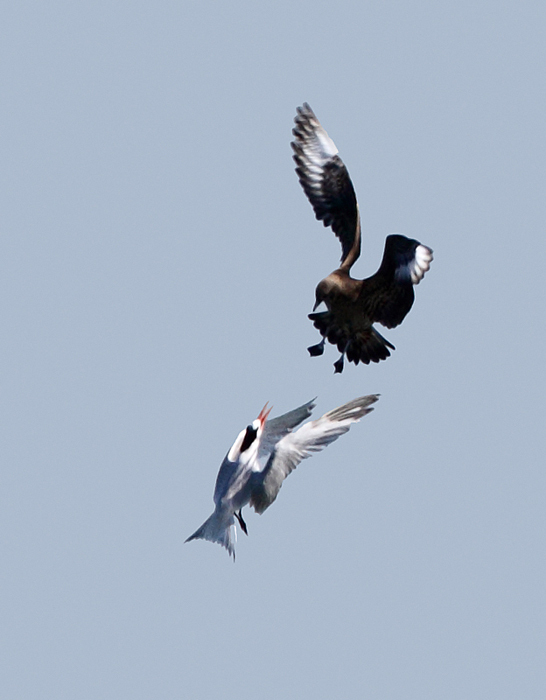 I usually don't cheer for the bully, but jaegers are just too damn cool. 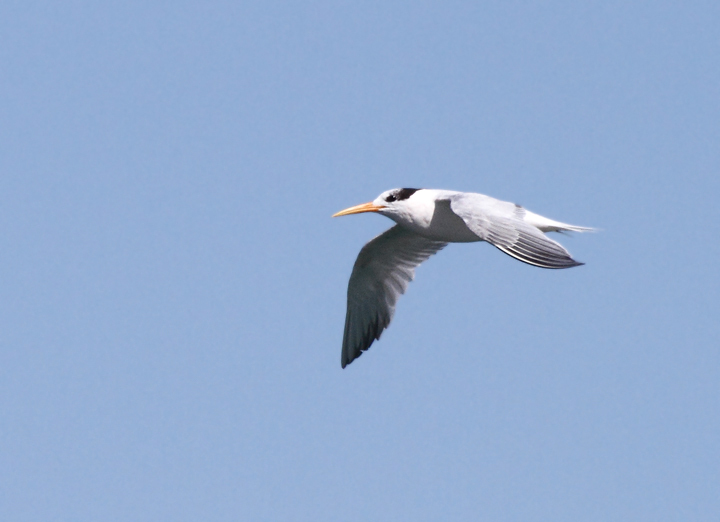 Also, those terns are fast. 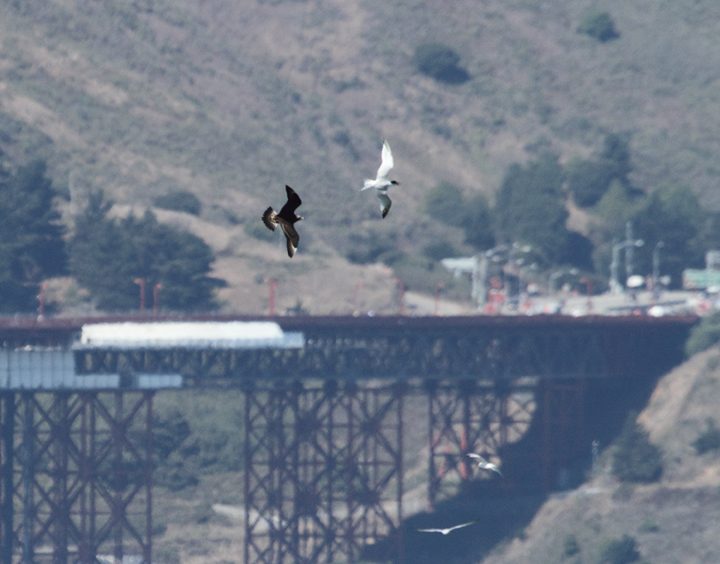 Below: Heerman's Gulls around San Francisco Bay, California (9/23-24/2010). 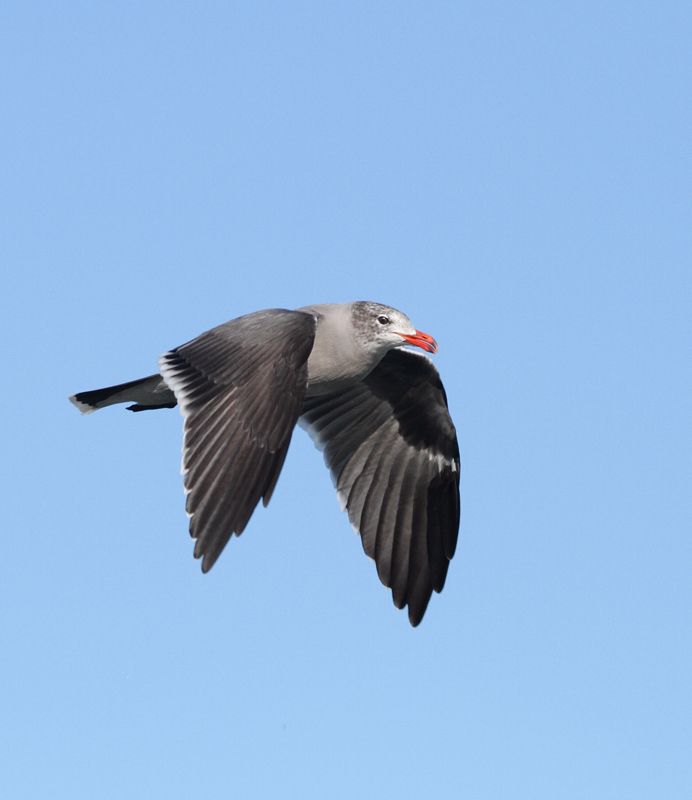 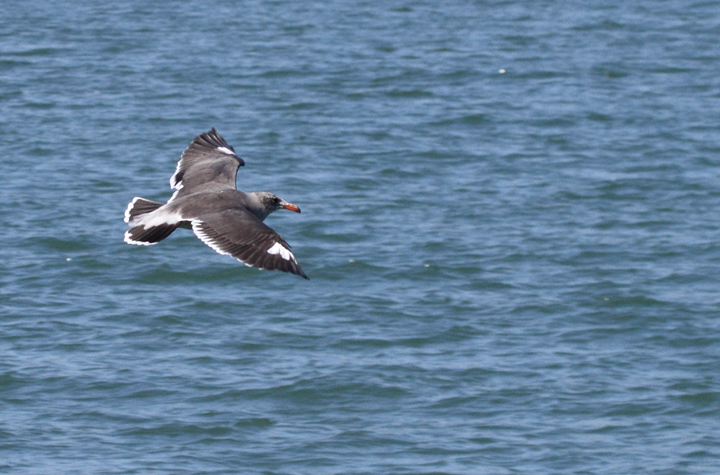 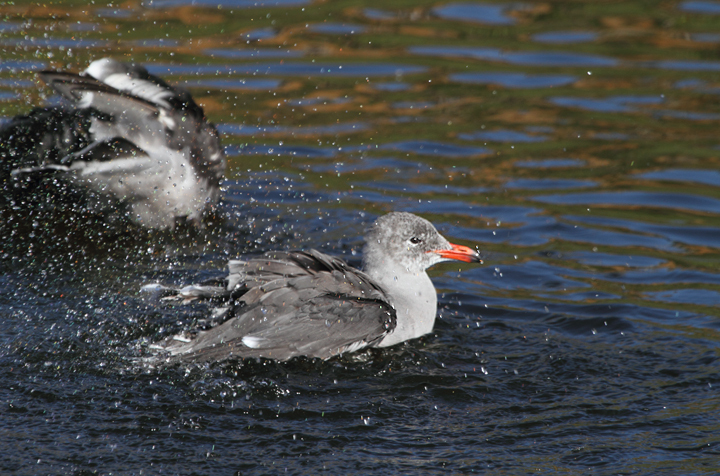 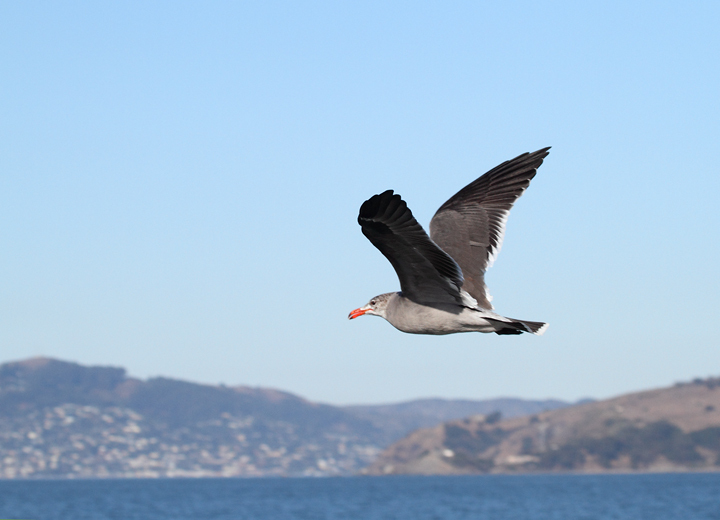 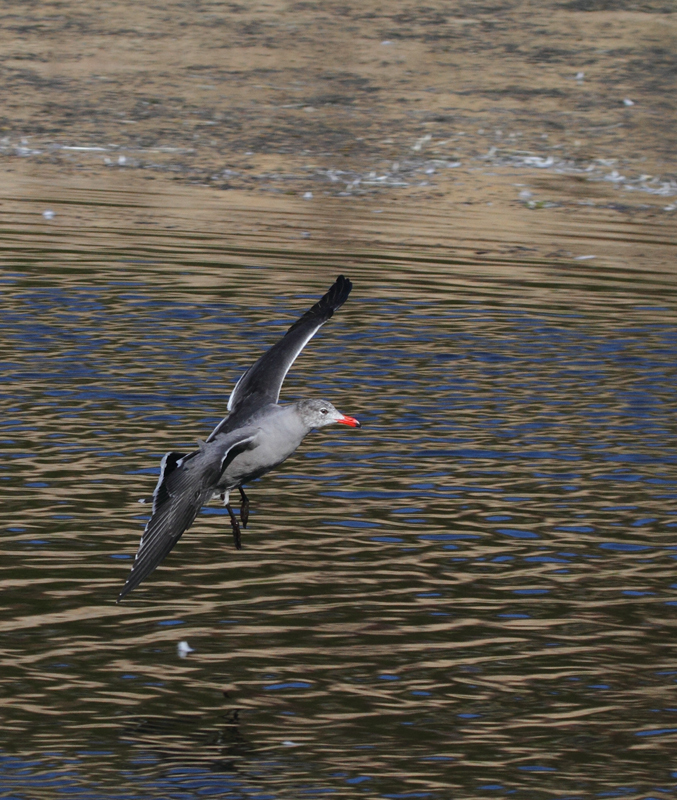 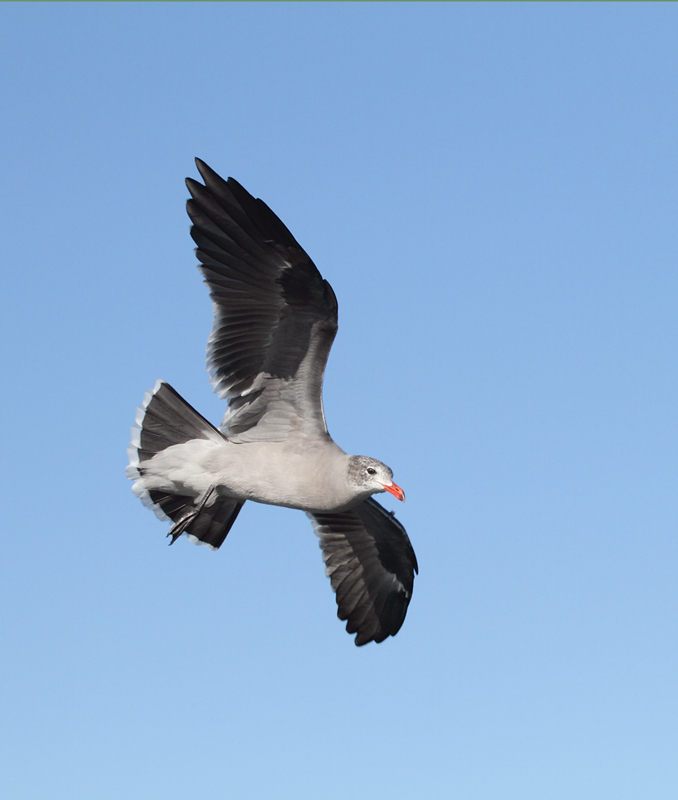 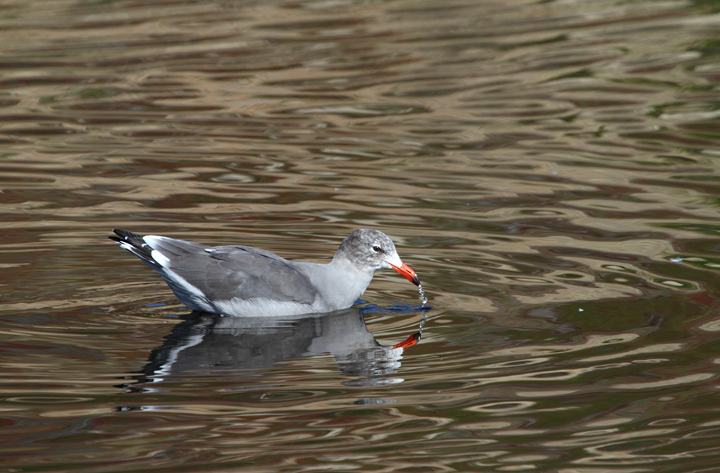 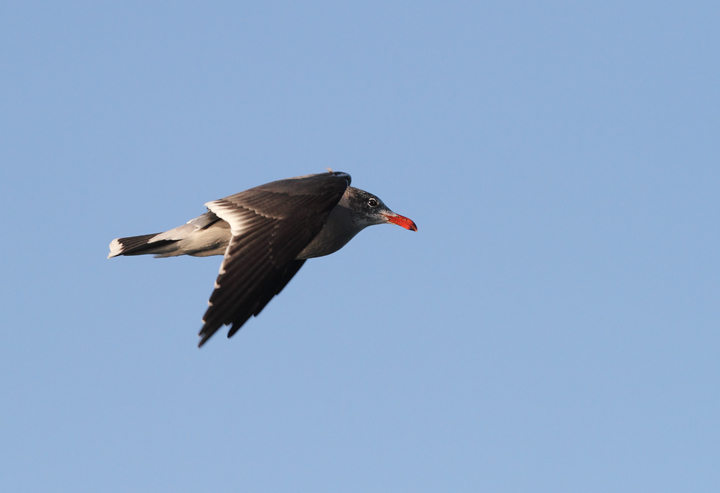 Below: A Heerman's Gull with aberrant white patches. 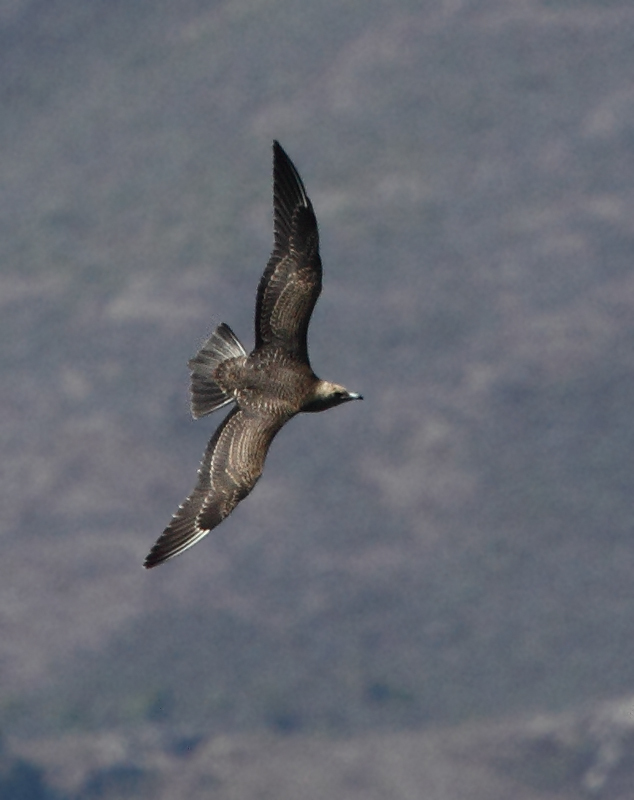 I couldn't help but wonder if this would benefit the individual by adding a jaeger-like flash of white to its wings. 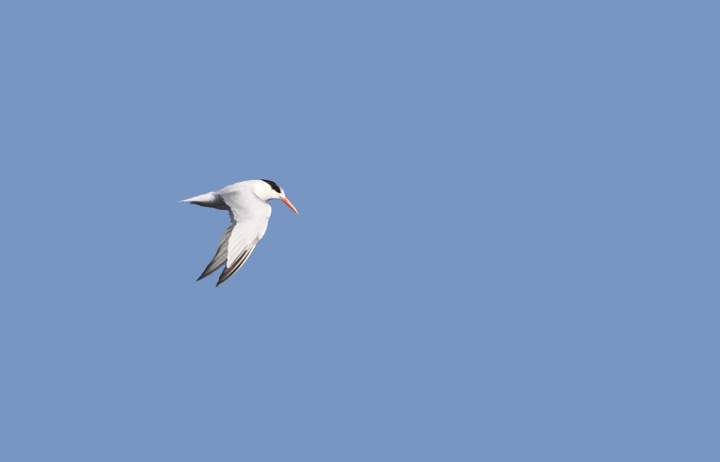 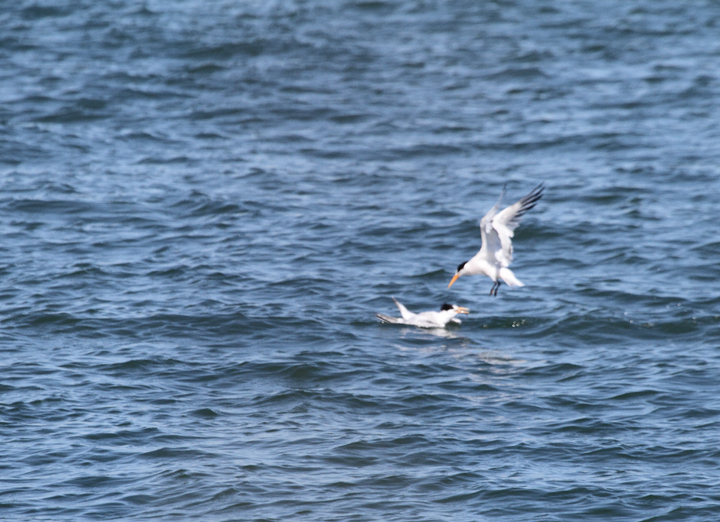 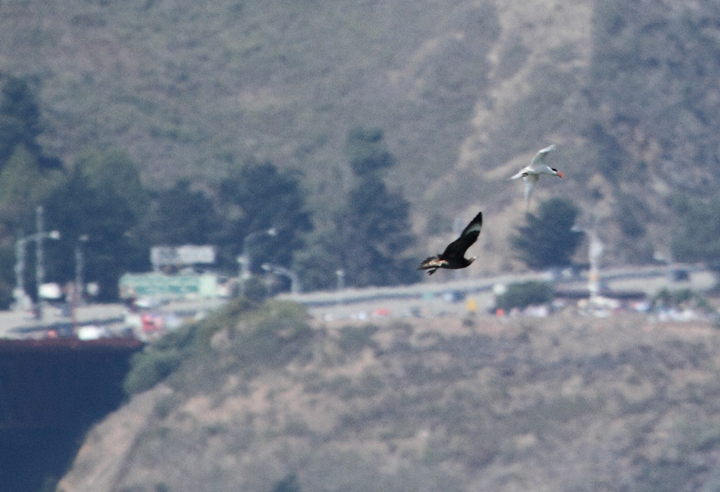 I watched one individual chasing a jaeger that was chasing an Elegant Tern. 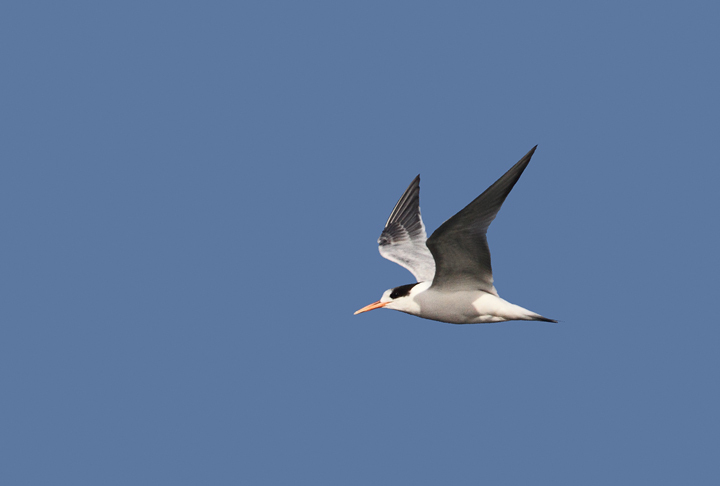 Could the extra flash of white increase its chances of kleptoparasitism success? 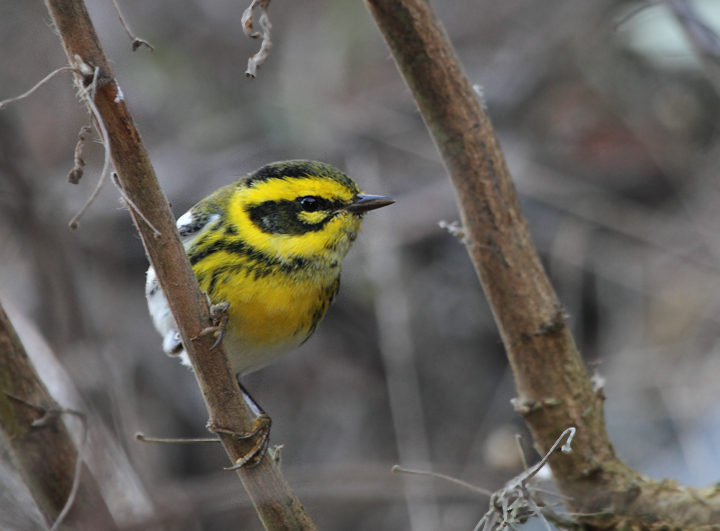 Below: A beautiful Townsend's Warbler along the Lands End Trail, San Francisco (9/23/2010). 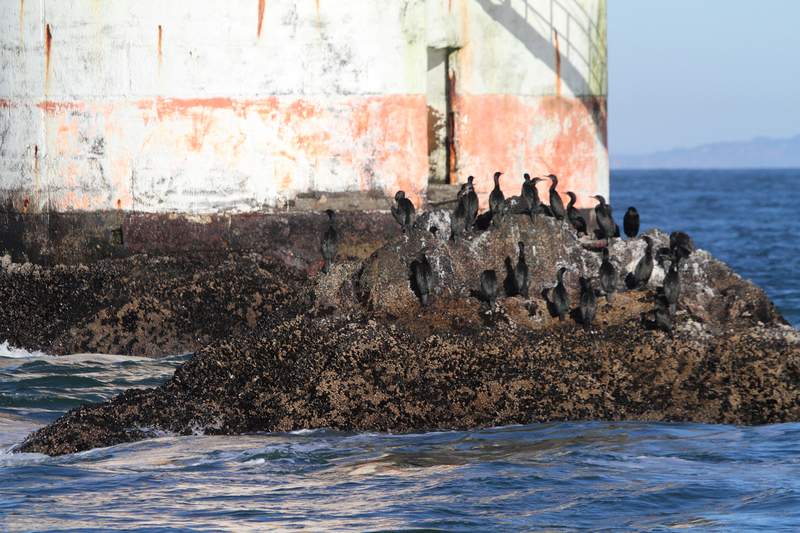 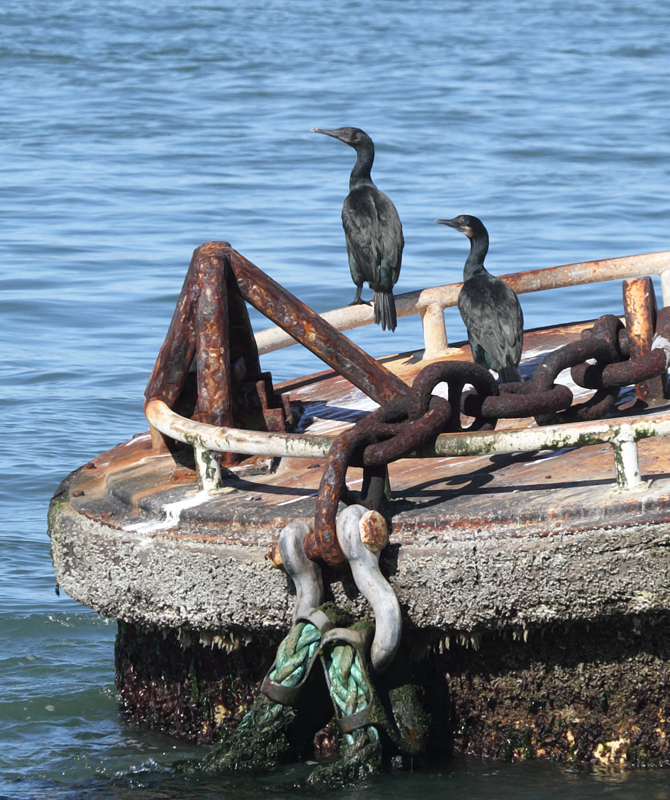 Below: Brandt's Cormorants roosting around San Francisco Bay, California (9/24/2010). 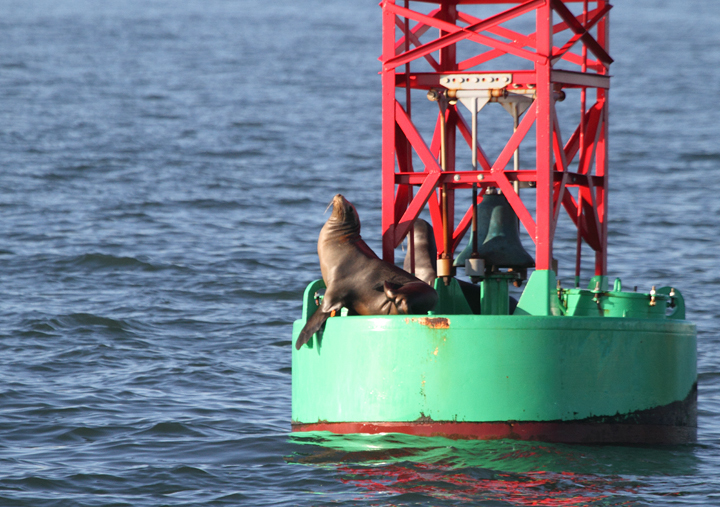 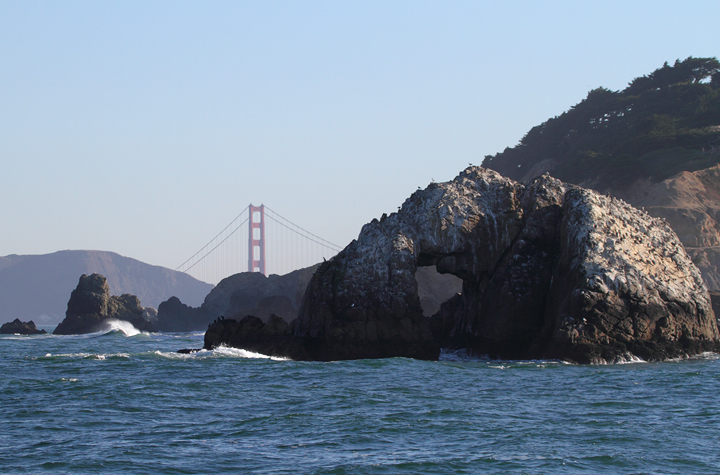 Below: A California Sea Lion roosting on San Francisco Bay (9/24/2010). 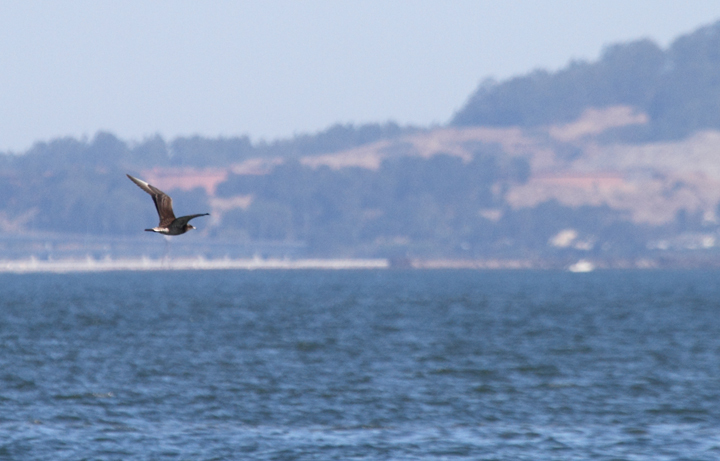 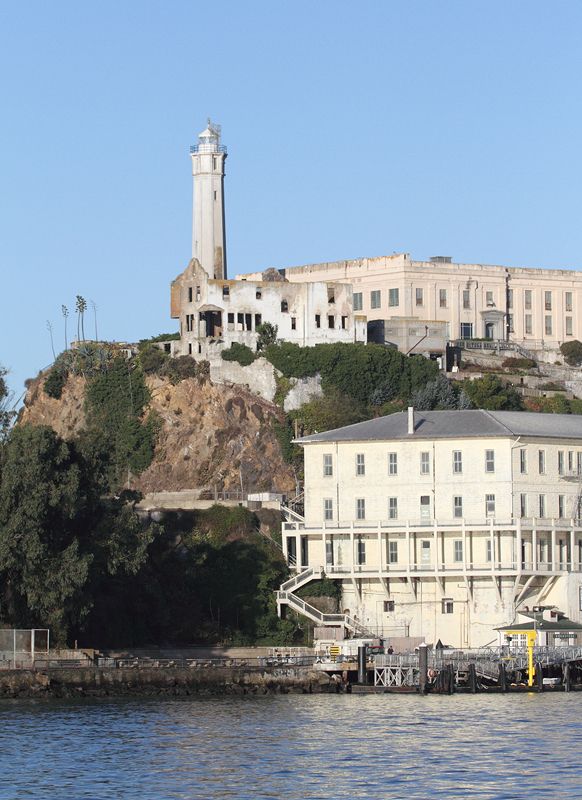 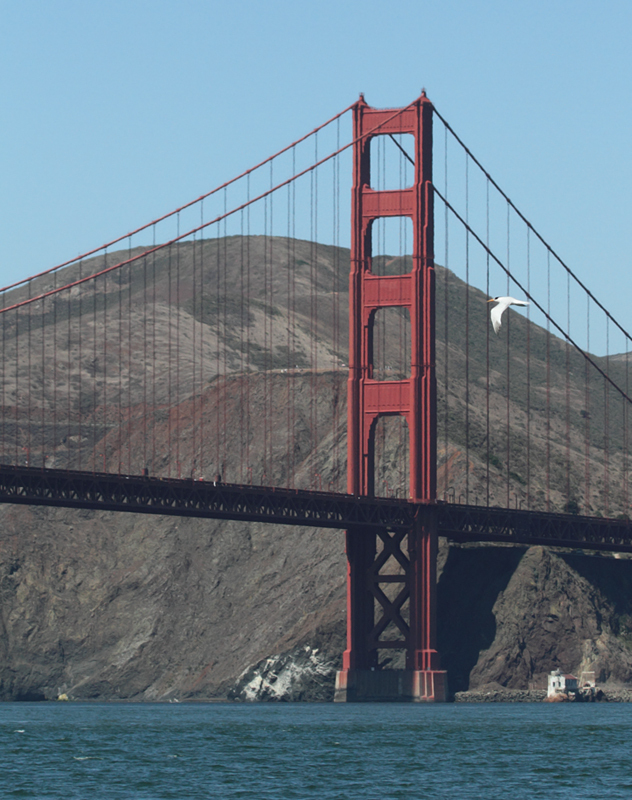 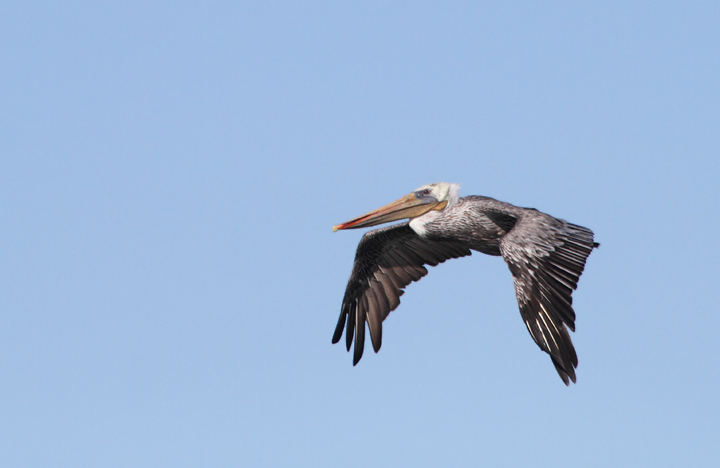 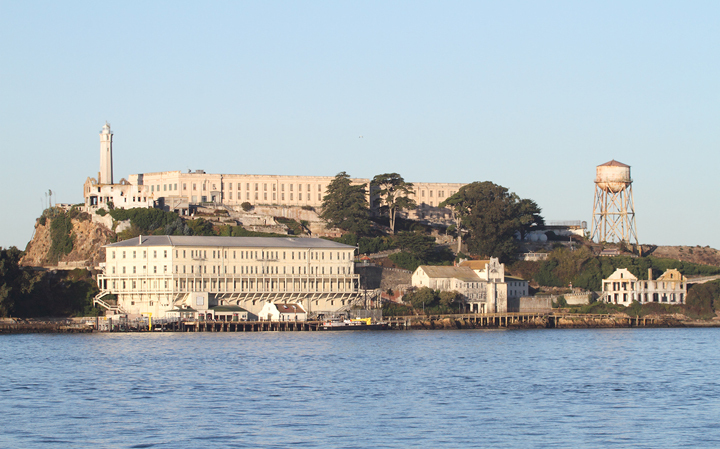 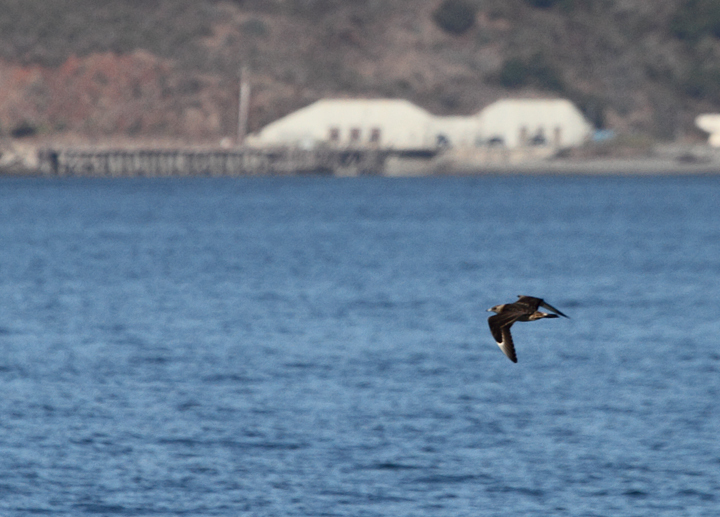 Below: A Brown Pelican in flight near Alcatraz (9/24/2010). 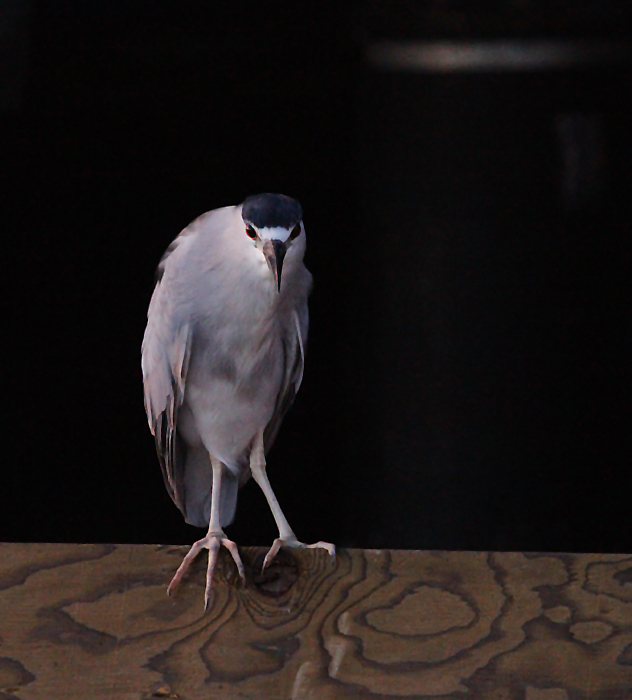 Below: An adult Black-crowned Night-Heron prowling around the bait cages near Fisherman's Wharf (9/24/2010). 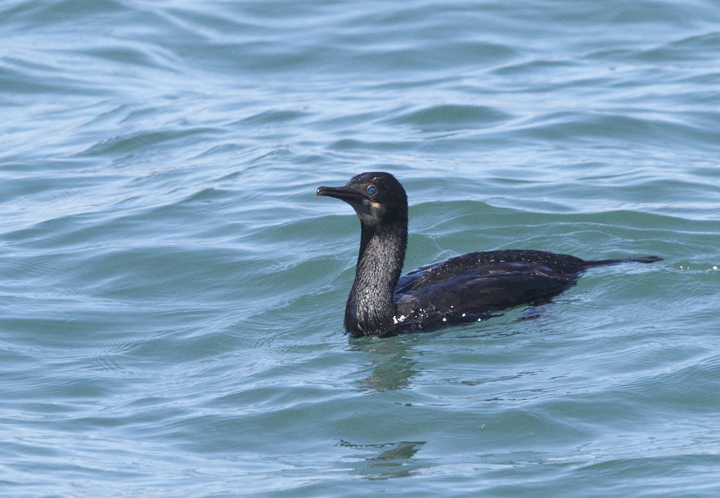 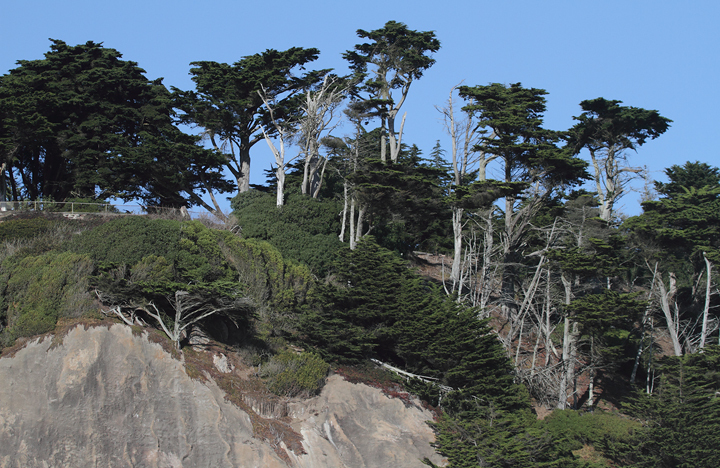 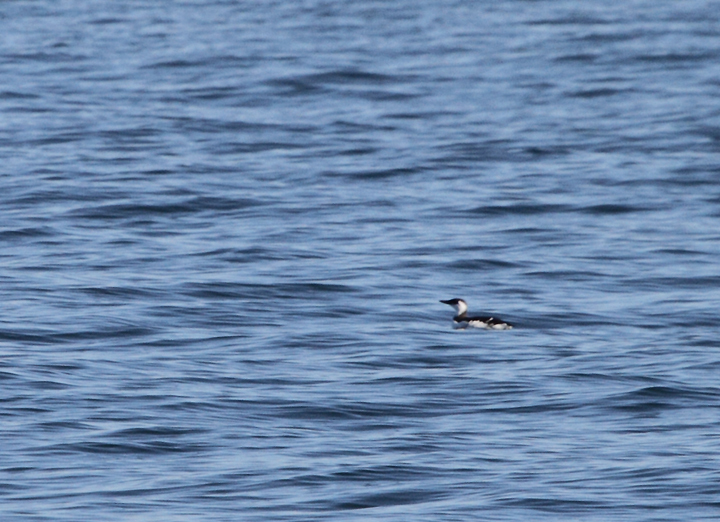 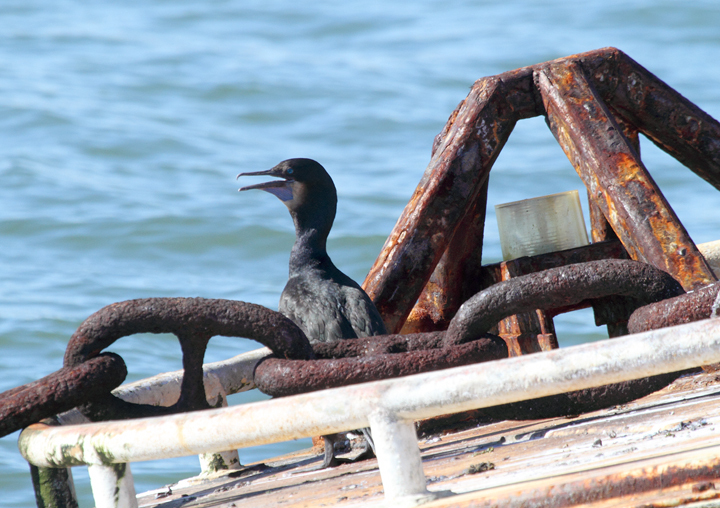 Below: A Common Murre near the Golden Gate Bridge, California (9/24/2010). 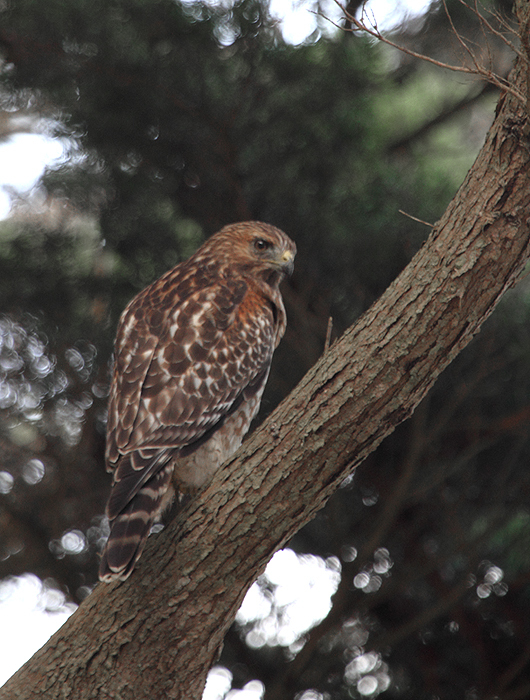 Below: A Red-shouldered Hawk - a juvenile of the coastal/California subspecies - at Lands End, California (9/23/2010). 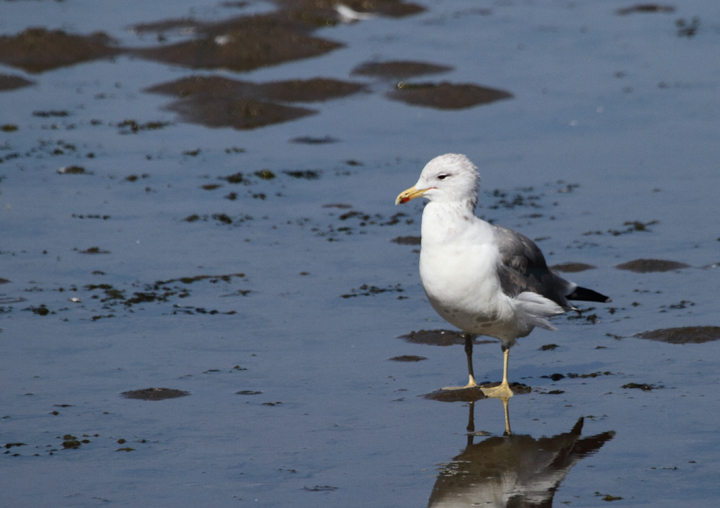 Below: A California Gull at Chrissy Field, San Francisco, California (9/25/2010). 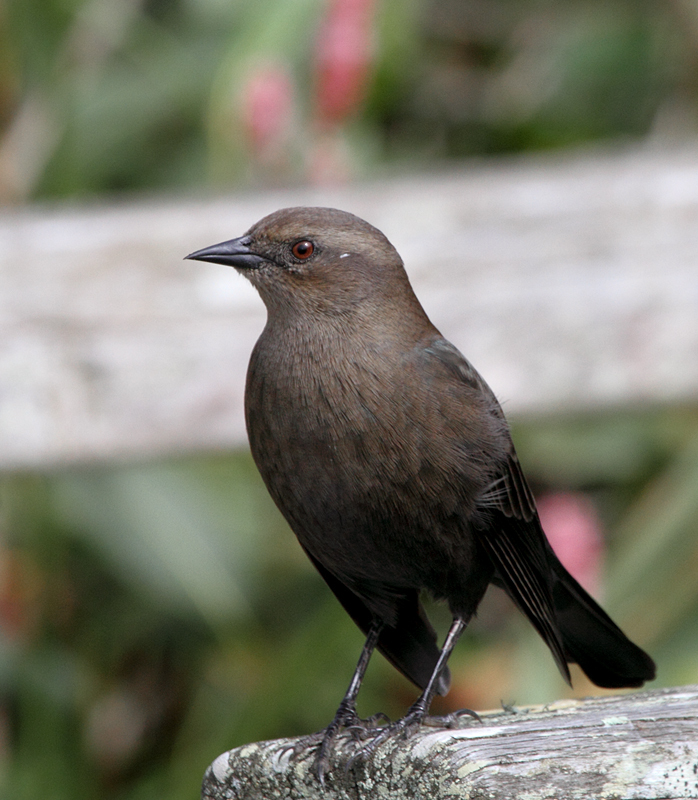 Below: Male and female Brewer's Blackbirds near Lands End, San Francisco, California (9/25/2010). 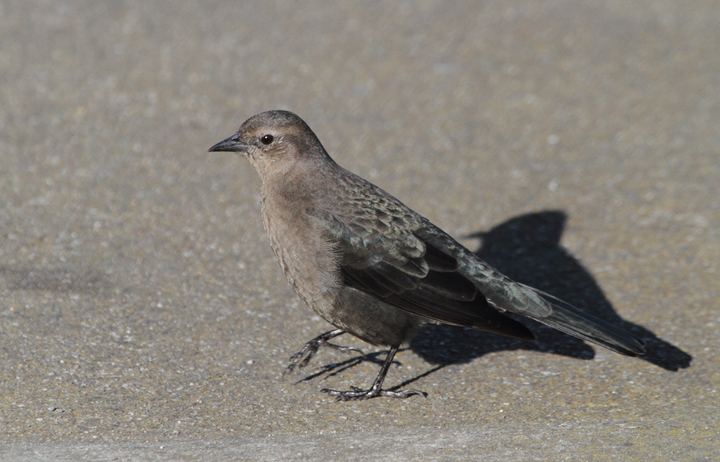 Below: Juvenile Brewer's Blackbird at Lake Merced, California (9/26/2010). 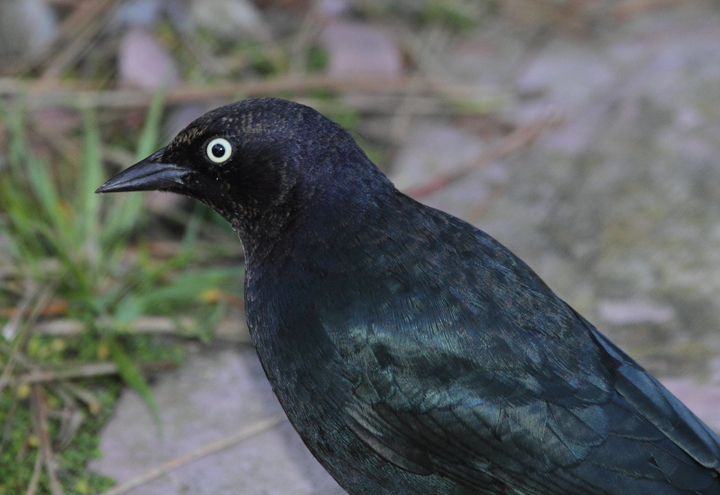 Note the reddish brown iris. 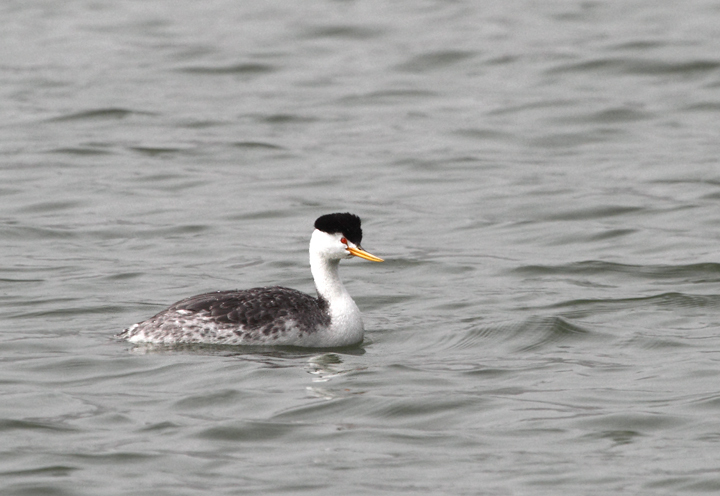 Below: A Clark's Grebe at Lake Merced, California (9/26/2010). 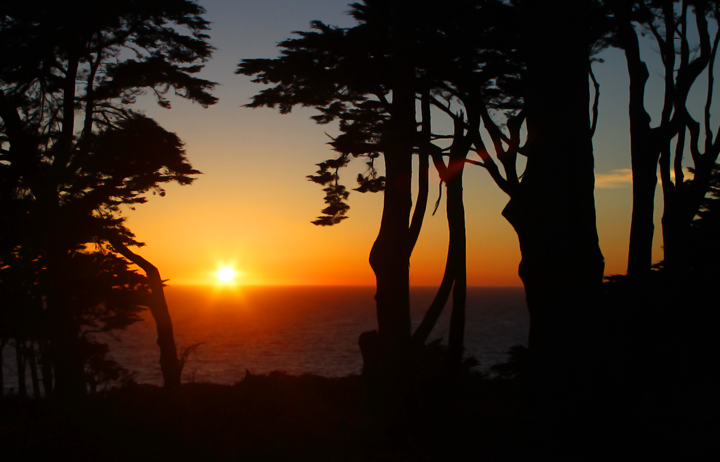 Below: The sun sets over the Pacific off Land's End, San Francisco, California (9/24/2010).